Unique photographic projects, exquisite books, well-laid-out graphics, superb printing, and first and foremost well-thought-out and audacious concept – the aim of the Photographic Publication of the Year 2013 contest is to award Polish photographic publishing houses which can serve as an example and provide inspiration. There are more and more photographic publications on the Polish market. Therefore, it is worth taking a critical look at them, show our appreciation and applaud the most interesting ones. We hope that this contest will inspire artists and photographers with determination and passion for ambitious search as well as draw the attention of the photographic and publishing community, and as a result publishers and authors of photographic publications will develop a more daring and creative approach to books. We wish for the awarded publications to lay out the path for novice photographers and editors. 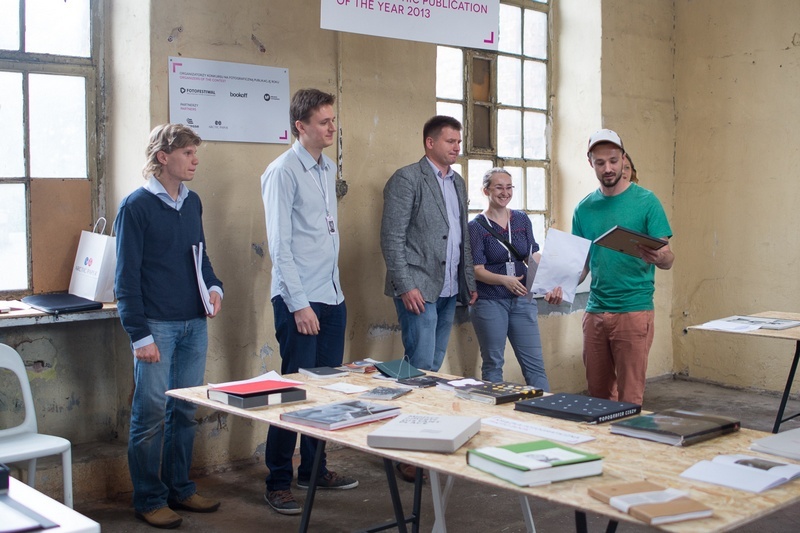 Several specialists in photography and modern publications have been invited to take a seat on the jury. They will select nominees in two categories: photographic book and self-publishing. All awarded and honoured projects will be included in the Photographic Publication of the Year 2013 exhibition.